We’re sometimes asked whether folks who apply for City of Round Rock jobs are required to live here. No–and that’s a good thing. Employees who reside elsewhere can share insights from those municipalities experienced from the customer point of view. As one of the resident CORR employees who, in a way, work for ourselves-paying City taxes that fund our salaries–I can report that we already have a varied perspective. As a librarian, I would love to order every promising new book in all available formats–print, large print, audio CD, Playaway, ebook, digital audio, but the taxpayer in me vetoes the approach as budgetary folly (also, we’re out of shelving space). And that nifty art database that my librarian persona would so enjoy? Not a cost-effective acquisition for a limited audience, says Taxpayer Me. 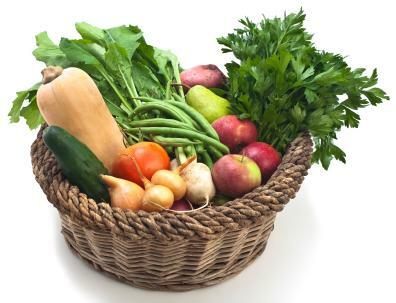 in-season fruits and vegetables. Employee Me appreciates the freshness and one-stop shopping; Taxpayer Me applauds the notion that we City staffers will eat better, enhance our well-being, and trim health care costs. As employer review websites like Glassdoor, Indeed, Jobitorial, and CareerBliss demonstrate, not all workplace initiatives anywhere merit in-house approval. Readers may, however, find it difficult to commiserate when a reviewer’s biggest complaint is his/her company’s failure to furnish all-day free snacks and meals, spa treatments, or pet-sitting, as some firms do. If CORR were to offer staff free lunches and breakfasts every day, I’d be torn-tempted to queue up for some of it, while my taxpayer persona took notes for a what-are-you-thinking letter to the City Manager. Management tends to attract the most reviewer ire, a trend entertainingly mirrored in fiction successes of recent years: Joshua Ferris’ Then We Came to the End, Richard Russo’s Empire Falls, Lauren Weisberger’s The Devil Wears Prada, and Kathryn Stockett’s The Help, and so many others. Leslie T. Chang observes in her article “Working Titles” in The New Yorker , “the Chinese, some of the hardest-working people on the planet” demonstrate a distinct spare-time reading preference for novels about the workplace. As for the American fiction market, one forthcoming standout is actually a translation: Colorless Tsukuru Tazaki and His Years of Pilgrimage by Haruki Murakami. Tsukuru finds that achievement of a career doing what he has always dreamed of-designing train stations-does not guarantee happiness and fulfillment. In Simon Wroe’s debut, Chop Chop, the boss, a “culinary dictator”, is the centerpiece of the narrative Publisher’s Weekly recommends for “anyone with a taste for the morbid and whimsical”. The Intern’s Handbook by Shane Kuhn stars a hit man disguised as a company intern. In A Highly Unlikely Scenario or, A Neetsa Pizza Employee’s Guide to Saving the World, Rachel Cantor imagines a future ruled by fast-food conglomerates. Only a few brave souls can prevent them from completing the ruin of civilization. One of them is a librarian. Her workplace probably advocates organic produce, too.